When I was a kid there was few things I loved more than leveling up in a game. That hasn’t changed as an adult. I love the feeling of getting more powerful stats, unlocking new abilities, and have my character be just that much more badass. But as I’ve tried to design around leveling up, it’s actually quite a problem to tackle. At it’s core, leveling up generally makes the game easier. Sure, you can have certain items or quests locked until a certain level but it all boils down to the fact that your character has better stats (and perhaps a new ability). The problem with leveling up though is game balance and fun. It feels good to become more powerful but it feels boring to be powerful. Leveling up can be a self-defeating end if it’s not designed right. There are many RPG’s I’ve played where I just power leveled early on and then the rest of the game was a breeze. In effect the thing that makes game enjoyable is also the thing that ruins the game. When I set out to make Grrbls I (naively) thought why would it be so hard to have an RPG that just lets you levelup forever? Why can’t you just always have better gear and better stats? Well, it turns out that these “Level Caps” in games are actually a good design decisions and making an RPG where you can levelup forever is not as simple as I thought. By having a level cap the designer is giving himself a tool with which to balance the game and he can create tailored challenges. Sure some players might be over powered, a few underpowered, but they can design for the average case. 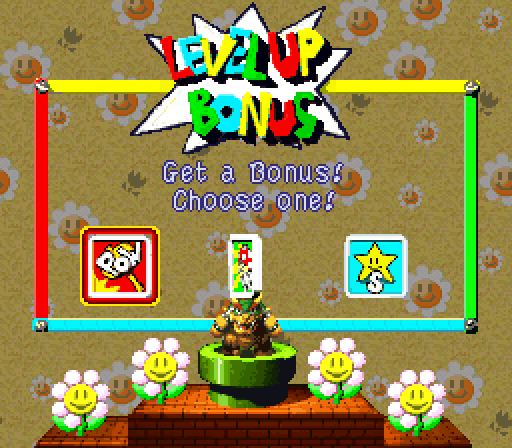 At the halfway point of the game they expect the player to be say level 30, and so they tailor the boss challenge for that, and players have the freedom to levelup to make it easier, or take it on at a lower level for a challenge. But, and this is a big but, the show must NOT go on. There is a clear end point designed and that means the designer can do an “end game” section where they have bosses specifically tailored for max stats that provide the player an extreme challenge knowing they need the best gear. This can (and has) worked very well for many games, but for Grrbls, I wanted a game where the show does go on. You can always find better gear, you can always find a better challenge, and you can always have a reason to reconfigure your party to tackle different challenges. I talked about one of the challenges with forever scaling in my post about rarity and redundancy. Here I want to talk about game challenge. In order to justify leveling up I believe you want the player to have a goal that they are working towards. In my Game Design Doc, I outlined a lot of areas I wanted to make work for this and making them all play together has not been trivial. One issue with providing a challenge to the player in an RPG is the binary nature of killing or not killing a unit. Let’s take a simple example of a level 1 fighter who does 10 damage per hit. Say this fighter goes against a monster who has 22 hitpoints. At level 1, it takes 3 hits to kill this monster. But say the figher levels up and now does 11 damage per hit. It now takes 2 hits to kill this monster. As a player, this can feel very rewarding as they see how much more powerful they are. They can tangibly see their foes die faster. Going from level 1 to level 2 in this scenario feels really good, you are better at killing that monster. But now the fighter hits level 3 and he does 14 damage. At this point it still takes 2 hits to kill the monster. There is no tangible difference (in this specific example) between level 2 and level 3 when it comes to killing that monster because it takes 2 hits still. Fast forward to when the character is level 6 and he can 1 shot the monster by doing 25 straight — now there is no more power to feel from killing this monster. Once the player is able to 1 hit their opponent there’s no higher mountain to climb. Now yes, you could argue get a strong monster so forth but that just delays the inevitable where leveling up eventually makes you too powerful for it to matter that you need to level any more. There are many RPGs I’ve played and I loved getting to max level but stopped almost immediately after because there was no challenge remaining (sure there might be some end game bosses but because I couldn’t level up anymore I usually felt it wasn’t worth the effort). 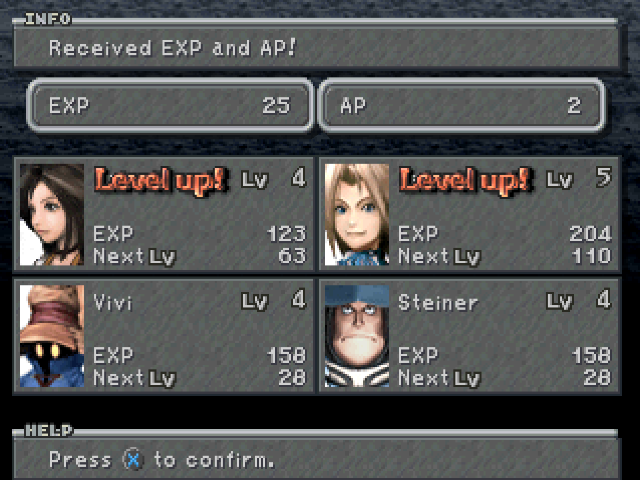 People play games for many reasons but for me the joy of leveling up was a big part. I never realized, until I started developing a game, the challenge associated with giving the player a leveling system — and how much bigger a challenge with a leveling system that goes on forever. One of the ways I’ve tackled this is I have designed a crafting system which gives the feeling of “leveling up” but not actually being a an experience point based system but rather a loot finding system. I want Grrbls to be totally loot driven so I’ve tried to tie the feeling of leveling up into the feeling of getting great loot and crafting stuff out of it. Another way I am keeping Grrbls leveling forever is by having emergent gameplay design where enemy parties will be randomly generated but also have stats appropriate to the challenge. So you will always be facing new foes with different combinatoric tactics. I’ve also designed a quest system where each quest will have interesting constraints and rewards so you will have to use different gear and classes to defeat it. I can’t wait to share more and more with you as I continue to develop Grrbls but I’d love to hear your thoughts or questions. What RPGs did you like as a kid? How important is a leveling system to you in a game? Do you play a game after you’ve maxed all your stats (and if so, what are you looking to get out of it)?